162. Studiomate Jeff Parker looked at this page and immediately expressed consternation that Ariana is letting the gun’s barrel touch the dirt. In a flintlock rifle this would indeed goof up future shots. Jeff Parker, as you might guess, is a dad. He’s also a creator of delightful comics, including the excellent GN Underground with Steve Lieber. In Ariana’s defense, the gun is about as tall as she is at this point. 163. Some people seem to think Ariana is scarfing down on raw bunny flesh in that last panel. Nope (also, ew! ); she’s whistling through her fingers. I’ll tidy it up in a future pass-through. 164. There are lots of blackberries here in the Pacific Northwest region of the USA, my native turf. We have both local species and European invaders in abundance. They are all delicious in the late summer, but I have suffered not a few puncture wounds over the years from their angry brambles. They’re lots of fun to draw, though. 165. Welcome to the zenith (nadir?) of my craziness: I researched the damn pine tree in panel one to make sure I picked a species that might actually turn up on the Czech border. Generally when people tell me “oh, you do so much research!” I kind of laugh and say “I like to give that impression”, but then I remember panels like this and I see where they’re coming from. At any rate, look, it’s a pine tree! Meanwhile, horrible and important things are happening to the characters. 168. 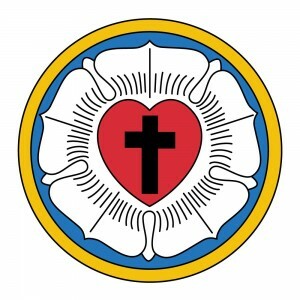 Hey, it’s the Lutheran rose again! This is your very obscure hint that Somebody Has Died. 169. This was my first chance to use the reference photos I’d taken in person at the John Rylands (Deansgate) Library. Have I mentioned that the one person who was reading in the library when I dropped by on the first day…was reading Twilight? You just can’t win. That’s just a random saint staring down his snoot at Luther. I didn’t think to pick one in advance; suggestions are welcome!